Feeling like your senior living sales team is not quite there yet? Don’t worry. Not many are! Senior living sales organizations face a number of difficult challenges. On this episode of the Senior Care Growth Show, Charles Brubaker, Vice President of Strategy and Sales Operations, Enquire Solutions, shares his tips on how to build a world-class senior living sales team to help you increase census. Winston: Welcome to this episode of the Senior Care Growth Show. My name is Winston and I’m super excited today to be joined by Charles Brubaker. Charles is the Vice President of strategy and sales operations with Enquire Solutions. Today we’re going to talk about how to structure your senior living sales team to increase census. Charles, welcome to the Senior Care Growth Show. Charles: Yeah, thank you Winston. Appreciate being on. Winston: Yeah, for sure. Charles, just by way of introduction, maybe you could tell folks a little bit about who you are and what it is that you do. Charles: I’ve been around the industry for the last eight years, so it’s not very long in comparison to a lot of the providers that may be listening here. But, I’ve been on the vendor side of the space, so helping identify opportunities with providers to allow them to play a part in a relationship with other organizations like Enquire for example. I’ve been at Enquire for a couple of years now. I’ve really just come alongside providers, we are evaluating what Enquire has to offer, working through the sales process and determining what the best solutions are and then obviously working alongside ownership here to create and grow a scalable sales department. Winston: Awesome. Enquire is obviously known as one of the leaders in the senior living CRM space. You have a lot of knowledge around sales models. Tell me a little bit about what you’ve seen and how the senior living sales model has shifted over recent years. Charles: I don’t know if the sales model has shifted all that greatly, I believe it’s somewhat in a mid-shift at best situation. Traditionally, the sales model and what we are still seeing today at a community is a sales counselor or two or three owning the entire sales process. Yet how do you scale a person with that model? A single person is your sole sales contributor, then you’re a bit beholden to that individual. Secondly, how can a single person own the sales process entirely, while keeping up with technology innovation at each of the stages? It’s just simply advancing faster than that person can adapt to. What I have found and recommend is to identify each stage in your sales process, determine the key outcomes and specific results that need to happen to advance the sale at that stage and then identify the talents and skills needed to master that stage and execute it repeatedly. Then again, hire for those stages. Winston: That’s great. We were talking before this podcast episode and you had mentioned that Enquire sort of shifted the model and structured the sales team in a little bit of a different way and you’d seen some pretty impressive results from that. I was wondering if maybe you could share your experience around what’s happened at Inquire and what results you’ve seen. Charles: When I first joined the crew here at Enquire, with the exception of ownership wearing many hats, including sales, I was the only salesperson, so that was a little over a couple of years ago at this time. And, unlike other salespeople who traditionally carry a bag or own the whole process, I believe in the strategy we concocted here, which is to split the role based on each of the stages of the sale. Obviously, at the beginning I had to identify what is the sales process, what is the sales cycle, begin to define that and separate those out into outcomes between each stage. So for example, you need more data about your prospects to fuel the sales department. We have folks that focus their time on identifying and acquiring prospect data and not putting that into our CRM. Then, we have members of the team that focus on outreach or nurturing and converting that data into exploratory meetings, which is the opening of the pipeline. Yet further still, we have another person that owns the exploratory capabilities, demos and subsequent pricing and closing part of the process, along with sales leadership or company ownership, depending on the size and scope of the opportunity. Charles: Sort of an extreme team-centric model. And that shift is seen and our results continue to increase. So in combination with the sales model and a need in our industry for innovative strategy for a provider sales team, we saw a record setting Q1 in 2018 and then in June alone, we closed out having beat all of Q1’s total annual contract value. So we’re seeing record setting results month after month, our team is continuing to grow and their continuing to specialize in their key areas. So, interestingly enough because of this, we receive regular compliments on our sales process while this is happening and my gut says that, particularly in our industry, a transparent, persistently proactive and clearly defined sales process is appreciated by providers. Regardless of whether you’re a provider, vendor or in other industries, honestly, who wouldn’t want that? Winston: Yeah, that’s a great point. And some of those words you mentioned there transparent and proactive, I think hold equally true to the marketing and sales folks that are at the community level who are trying to increase census. It sounds like this model would work for them as well; therefore, how would you recommend a senior living organization structure their sales team if they’re trying to improve efficiency, as we know they’re short on time? Charles: Yeah, truth to that, replicate the split desk model that I’ve had the luxury of developing over the years. And really, how is the sales process all that different, as the principles remain the same. You need a lot of quality and clean prospect data you can outreach and market to, you need hunter skills that when you conduct outreach, nurturing those prospects that didn’t convert or managing inquiries, you get focused and unfiltered attention on conversion within that stage. Conversion using outreach and timely inquiry management will force a higher velocity of tours, home visits to the like into your pipeline. And hopefully so many, you don’t have enough calendar availability with your sales counselors or closers in this case. Now, I would simply have the sales counselors focused on providing a great experience, just like our sales engineer does with our exploratory and capabilities demos. Charles: That’s our mission, to provide a very knowledgeable and relationship-building experience. When conducting tours or home visits by the sales council, their mission is to build that relationship, provide that good experience and zero in on navigating the prospect of resident through closing of the deal. Once you have financial commitment, someone else should focus on all the tasks associated with moving that individual into the community, so then they can go back to working on building the next great relationship. So, no doubt there are organizations that follow parts of this or have a similar model but, how many execute, pumping large amounts of prospect data through this type of conversion machine, I don’t know if there really are that many today. Winston: Yeah, so with that model where you have different folks doing different roles within the sales organization, do you find that that’s a scalable model as a community or as an organization grows and they add people to that team, how does that structure scale? Charles: It’s much easier to identify talent within each of the stages rather than a person who owns everything and knows everything, right? So, very much so it is, in my opinion and experience much more scalable. Also, you’re able to predict hiring needs or staff reduction based on the forecast of the model easier when you have it simplified through multiple focused roles. For example, when we hire an outreach role, their primary outcome is to increase the number of appointments we have with prospects, which will fill the calendar of our sales engineer who is going to provide a good experience. I’m able to determine based on the sales cycle, with the new roles outcomes, when we will have too many opportunities generated for our sales engineer to handle. This can be a predictor of when to hire the next role within the sales process. This can also be a leveraged model if you run territories based on either geography, home care or home health or based on verticals like we do with senior living and post-acute. Winston: Yeah, that makes a lot of sense. We’ve talked about this on the podcast before, but just the importance of data throughout that sales process and having three stages defined so that you know what your conversion rate is at each stage of the sales process. And I think to your point, if you see that you need to generate new interest in the community or early stage prospects, you might focus some additional efforts on those early stage activities. And if you have that role defined, you know exactly who to hire. Charles: Yeah. And I think you should always have a focus on that early stage of the sales process. How often do we get six months or a year down the road with a new person who right out of the gate had this amazing amount of inquiry conversion, and then all of a sudden they’ve settled more on closing whatever shows up rather than sticking to prospecting. I think you have to have that focus on prospecting. And to your point around data having focused roles in each of the stages, you’re able to harness and replicate their outcomes through data. If data that is not in a CRM, it doesn’t exist and your role puts this information in the CRM and you’re not messing with anything else. You’re able to get greater volumes of data that can make sense of the sales process, be able to forecast more effectively and get a better understanding of where to go, how to get there and ask better questions. Winston: Yeah, that makes a lot of sense. Charles, let me ask you this, what about segmenting roles instead of by stage in the sales funnel, what about segmenting rolls by strategy, maybe someone who just handles inbound related inquiries or someone who’s responsible for outreach activities or building referral sources? What are your thoughts there? Charles: Well, that’s a good question. That depends on a few things, but also don’t get me wrong here, each of the roles that are in the stages here at Enquire for example, we have our database development specialist, our regional sales associate and our sales engineer, each one of those has their own strategy. So, don’t take our single view of this sales process as the strategy in and of itself, there are components within each one. Regardless, it all depends on a few things, for example, the number of people on the team, the skills of each of your team members, the services you offer and in the senior living case, the volume of inquiries your organization receives. If you get large volumes of inbound and it’s enough, that focused attention will yield higher results with less time and employee cost to get them, then I’d go that route. And, personally and with bias, I’d outsource that function to Enquire. Charles: If you don’t get a lot of inbound, then you must go to the market to find opportunities to fill your pipeline. I mean if they’re not showing up, you have to go to them. So, whether this be targeting prospects, targeting referral partners, or getting involved in the community and community events. You could leverage the same inbound conversion team to conduct the initial outreach to schedule the tours, schedule home visits or even schedule appointments with referral partners on behalf of the role who conducts face to face meetings. Segmenting roles make sense regardless of the service offered or the industry you’re in. Having a strategy around each of those roles obviously it’s going to make sense as well. And technology that can support each of the stages of the sale is advancing faster than a single person can adapt to, so by having that strategy and having these roles we are able to train on that technology much easier than a single person. Plus, specialization in roles within your sales department breeds accountability within the sales process and each person will hold the others accountable when everyone gets a piece of the action. That’s exactly what we do here at Enquire. It is team-centric, but we’re all here holding each other accountable to make sure that the sales do happen because we’re all accountable and we all get a piece of that action. Winston: Yeah, that makes a lot of sense. You touched on a couple of things I think are interesting there. The fact that the technology is advancing faster than a single person can adapt to is interesting. We use marketing automation, sales automation and CRM technologies on a daily basis and I can definitely attest to that, that new features and functions are coming out and trying to keep up with even the latest features of the technology is difficult, but also the latest best practices in sales and how to handle those inbound leads. Handling inbound leads is a tricky thing and you mentioned outsourcing that function to Enquire, just as a quick aside, how does that work if a community is interested in outsourcing to you? Do they just work closely with the person who is actually doing the tour and the face to face time to make sure it is a smooth transition? Charles: Yes, absolutely. Day in and day out, we are just an extension of the team. We are sales assistance to the sales counselors and our job is to increase the pipeline through conversion, whether it be inbound, events or what have you. Convert the tours, fill their pipeline and move onto the next one to convert and then they can handle the rest. But, the point is, day in and day out we’re working with them to make sure that what their strategy is or is unfolding to be, we are aligned with that so that we can maximize each other’s efforts. Winston: Yeah, I think that some people are a little bit hesitant to give up some of that sales conversation to an outsourced vendor, but it sounds like it’s a really close relationship and that makes a lot of sense. Charles, let me ask you a question, key areas of coverage in a sales organization, what types of things you think need to be accounted for in terms of areas of coverage? What activities should the sales team be looking after and how do you organize that? Charles: Well, obviously all areas need coverage and each stage needs coverage or your sales machine will grind to a halt pretty quickly. Where I believe most organizations miss the mark is not investing in enough relevant, clean and accurate prospect data and then conducting outreach against it. I don’t mean just outreach via email or marketing, I mean picking up the phone and cold calling someone. How often have you heard cold calling is dead, right? Or you see it on Linkedin? It’s been my experience in organizations that focus on prospecting with good target data will have bigger pipelines, more closes and half your team. I’m not trying to say that you obviously shouldn’t have coverage on the closing piece, but I think communities already have that, they have that in the skills and talents and experience of sales counselors that they already have on staff. They’re missing the conversion of the inbound inquiries, they’re missing the hunter skills to conduct outreach and they’re missing large volumes of clean, qualified, accurate and a little more encompassing data. You put more of that fuel into the machine, you convert a higher volume of those with focused attention, then your sales counselors can do their job at 110 percent, not trying to manage all of that. Winston: Yes, that is a lot for one person to cover or a small team to cover. And to your point on conversion of inbound inquiries, last year I did a test of local communities and actually reached out to several of them and the results were shocking. Several of those organizations, and I submitted forms to their website, but several organizations never got back to me. Some of them I received a form email, but no other follow up. The range of response, and I think I reached out to over 20 different communities and in the area and the responses were just so varied. The ones that did it well were really on their game, as they were nurturing, gave me good information and they followed up with a phone call, but those activities take a dedicated person or someone with a dedicated focus to nurture those inbound inquiries who might not be quite as qualified. Charles: Exactly. So, why put your expensive sales counselor on those activities when you could either outsource that to a lower cost provider or vendor partner like Enquire or hire younger talent that you’re going to need anyways. You’re going to need talent to come in behind these sales counselors, as a lot of what we’re seeing in the senior housing and the post acute is that your staff is starting to age out. You’re not building people in behind that, so why not have a team that works and gets to know your sales process from stage to stage. Hire younger, less expensive, younger folks in there that don’t cost as much as a seasoned sales counselor does and get them trained up while providing a very specific outcome that drives a bigger pipeline. Winston: Yeah, that’s a really good point. I had a conversation last week or a few weeks ago with Carlene Motto, who is a sales and marketing professional in Chicago and works in the community side. She mentioned sort of a similar idea of hiring young and hiring millennials, which I think some folks might be a little bit scared of doing, but I think if you’ve got the right organization, you can train them and bring them up to speed, they could really become the next wave of your sales team. And, I think what you just mentioned is a great way to put them to work on the right activities, having them focused on those early stage leads. They’re less expensive and once you qualify those leads, you can hand it over to the more experienced sales rep to help close. I really like that idea of putting them on the early stage leads, that makes a lot of sense. Charles: That’s what we do at Enquire. Our team, for the most part are 31 and under and the majority of them are 25. I mean the average age of the company is like 30, so of all the 100 plus employees we have, it’s a pretty young company regardless. That’s how we do it in our sales department because you have to, it’s not a matter of wanting to, but rather in senior housing, you’re going to have to find ways to bring talent into the fold and make them bigger and better focused roles in your organization by starting small. By starting within these very specific stages, they’re able to narrow in their focus and they’re able to potentially either stay in that role and go in an upward motion where they believe “I may be a regional sales associate here at Enquire, but I could be a regional sales manager because I’m getting better and better at this very specific role”. Charles: Or say, “You know what? I’ve mastered this role and I’m going to go to the next one, the sales engineer, and I’m going to master that one”. And it is a way they can go through from stage to stage and can progress. That gives them mobility and flexibility and growth in their role that direction down the sales cycle, on the sales process itself or they can go up and in their given stage and get more management of that role than just simply going across the sales process. So that’s how we treat it and it gives them more options, while maintaining a focus and we are able to build skills and talents because the job is simpler. I have one outcome day in and day out, it is to schedule an appointment for the engineer. That’s really simple, right? And the engineer has one outcome. Charles: My job is to convert that exploratory call into a capabilities demo. And because of that simplicity, they can master it better, they can then look for those, like you mentioned, not just technology advancements but the best practices. It’s a good point you made a little bit ago related to best practices. How do you gain all the best practices within each one of those stages if you try to cover everything? It’s totally too much. Give them best practices within their stage, let them build upon that and then either they’re graduating up into a management role or they’re graduating across in your sales process the next role. Winston: I like that idea a lot, keep folks focused on certain results. We do that within our organization, we call them KRS’s or key result areas and we actually sort of paint a picture of what those metrics are that somebody should be achieving. I think that’s a really good point and I think that those areas, if you keep people focused on exactly what matters, they’re going to hone in on specific functions, learn that specific function really well and to your point, position themselves to be able to move on from there in one of many different directions. Winston: So let me ask you one other question. If an organization is not there yet, maybe they don’t have the staff for these individual roles, how would you recommend that they cover all those functions if they can’t do it in house? Charles: Yeah, that’s a good question and a nice plug for Enquire. First, how do you know if you’re short staffed? I mean, do you have a clearly defined sales process with stages and predictable outcomes? If you don’t, then you don’t truly know if you are short staffed, or how short staffed you are or even if you are short staffed in the first place. I focus on clearly defining the sales process and then aligning the current staff based on their talent, the most appropriate stage and outsource the rest. Enquire in the case that we’ve already talked about senior housing, the most appropriate is the talent that they have is really the sales counselor or the closer. And so I would align them to that and I would outsource either the opening of the pipeline through opportunity generation of converting of inquiries or using hunter skills to go after the referral partners and scheduling appointments for that counselor. Charles: So when it comes to Enquire, Enquire supports over 4,000 client communities with the CRM and over 800 of those leverage the contact center in some fashion. So converting inquiries to tours or home visits with focused attention will increase the pipeline. And that’s the focus Enquire brings to the relationship. We bring a velocity of pipeline generation through shoving tours onto calendars. Now qualified, don’t get me wrong here, I’m not going into the qualified/unqualified and how we do that with our clients, because each client is different, but let’s just assume for this example that these are qualified opportunities. We can all agree that an increased pipeline with proper pipeline management by the sales counselor will ultimately generate more movements. Without consistent and frequent conversion of inquiries into the pipeline, everyone suffers, especially the prospective residents who should be moving into your community rather than the competitor down the road who either didn’t call them back or didn’t pursue the web form fast enough, or didn’t get back to A Place For Mom or simply didn’t go out to the market and find the prospect of residents that would make the most sense for your community. Winston: That makes a ton of sense. Charles, this is a ton of great information and I’m just thinking through all of information and that if somebody is listening to this and they think all of this rings true, we’ve got a lot of work to do to make sure that we’re structured the right way, but as I was going through what you discussed, it sounds like there are a couple of things to recap that are important for an organization to start doing. So in my list here, I have that they should really figure out their sales processes and make sure they have clearly defined stages. You also mentioned the importance of data and using a system to capture each opportunity into a CRM and if it doesn’t exist in the CRM, it’s invisible. Winston: I think that’s so important is getting the right data. Defining roles and responsibilities, and should people cover different stages of the funnel? Do you have coverage in those different stages and really see where your gaps are? The next thing is staffing for those functions and deciding whether that is somebody that is going to be in house or is it someone you need to hire that you don’t have yet or should you look at partnering with an outsource provider to cover those functions? It sounds like organizations who are trying to get organized, get a little more efficient on the sales side should follow those types of steps to identify gaps and then make sure they have coverage. Would you agree with that? Anything that I missed? Any other recommendations for folks who are trying to get organized here? Charles: The one you mentioned related to CRM data that doesn’t exist, that’s extremely important. But, before that is you need data in general, you need to acquire data. We have a database development specialist and their job is to either take the list that we have from attending a trade show, take a magazine that has providers in it, go on LinkedIn or Google, or use Boolean search strings to identify the right contacts within an organization. That’s how we operate, we capture that data and then we put it in the CRM and we clean it up. We identify the nuances that allow our marketer to then segment based on persona, whether that’d be title, the type of organization, is a multi-site, a management company, a single site or nonprofit? Charles: There’s some key and information and what business lines do they offer? Do they offer home health through the CCRC, what do they offer? I think that is really important. I think investing in taking the data that you do have or the vehicles by which you can capture more prospects into the CRM; clean, cold, no one else has talked to them before data and increasing that, making it nice, making it pretty, making it qualified, if you will, to a certain degree, so that you can go after it with marketing then your hunters. I think that is extremely important. Not just capturing the data through the sales process itself, but just more prospect data. And there’s, there are many different ways to do that. There are marketing firms out there that have access to helping you get this information, there’s ways to do it, and then I’m not going to go down those ways, but you have to get the data. You have to get it in mass, leverage that data, be smart about it, segment it based on key identifiers for that data that you can then manually clean up and add to that CRM. You’ll be much more effective with the rest of the strategy if you do that right in the first place. Winston: Awesome. That’s really good advice. Charles, we’ve covered a lot here today. I think you’ve given folks a lot to think about. Hopefully people find this valuable. I certainly did, and I really appreciate your time being on the Senior Care Growth Show. This has been phenomenal. Charles: Thank you Winston. I appreciate being able to hop on here as well. And if there’s another moment we can continue this conversation, no doubt the sales process and revenue generation, senior housing and post-acute is at its most critical moment in innovation right now, so I would be happy to be a part again. Winston: Awesome. Yeah, appreciate it Charles. We will definitely have you back on the show. That was Charles Brubaker. He is the Vice President of strategy and sales operations for Enquire Solutions. If you’re looking for a CRM or sales solutions for your senior living community or organization, check out Enquire. They’re a great company and we would highly recommend them. 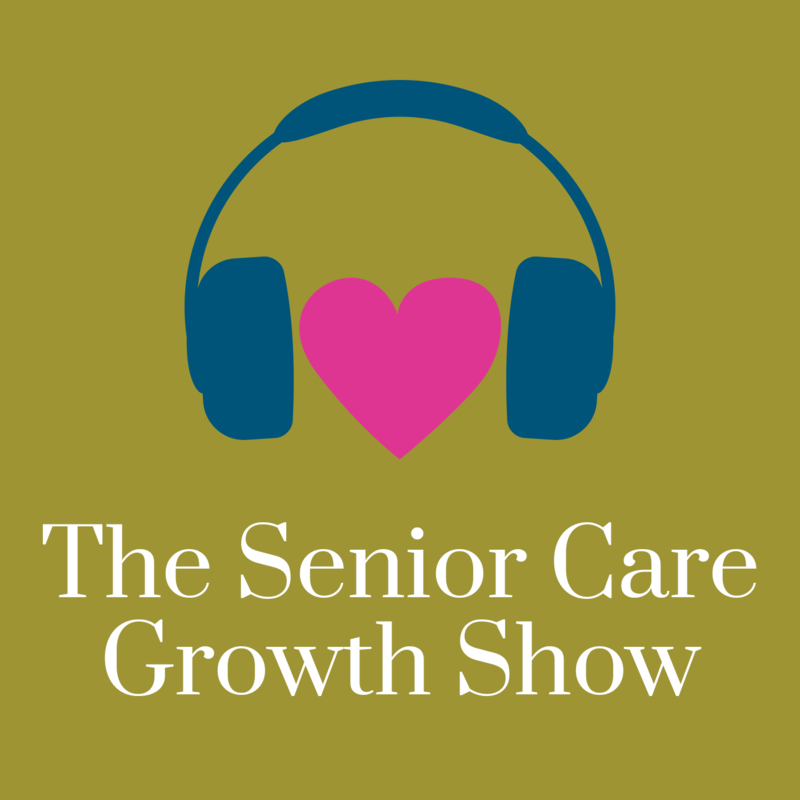 You’ve been listening to Senior Care Growth Show where senior care sales and marketing professionals come to grow. My name is Winston and we’ll catch you next time. Thanks a lot.